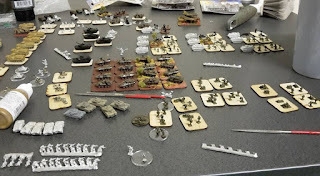 Down Under Wargames - Miniature battles in the Southern Land: Getting back into the groove! I am now on a bit of a timeline actually, I recently moved to sunny North Queensland and am going to be involved in HEROCON 2016 in Townsville. With luck I will be able to have some 6mm armies and terrain there, my intent is to display 6mm to hopefully convince people to get involved in the smaller scale around Queensland. It is all part of my wicked scheme *insert maniacal laughter here, so basically insert my normal laughter! * to get more people involved so that we can have some 6mm games up and running for CANCON 2018. 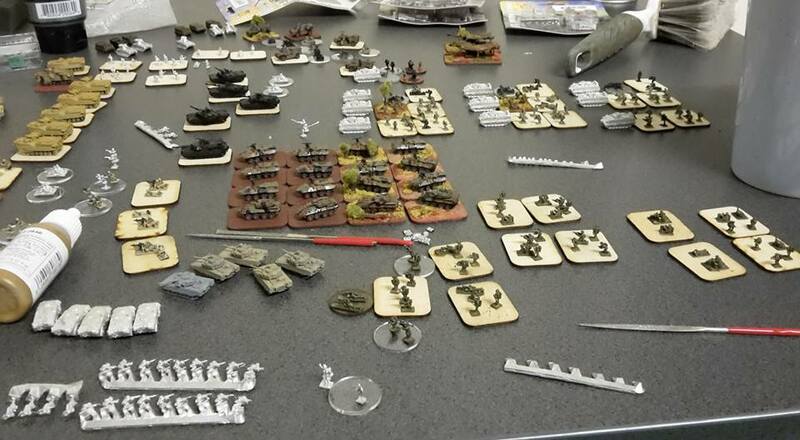 I believe 6mm has the potential to really kick off with the solid mix of scale and cost - whilst I am a GHQ aficionado, Heroic and Ros in particular is really stepping up to the ball with their sculpts, and although I am yet to see pictures of them with detail, I am told that latest VDV and British 1980's sculpts are quite amazing in the 1/300 scale. 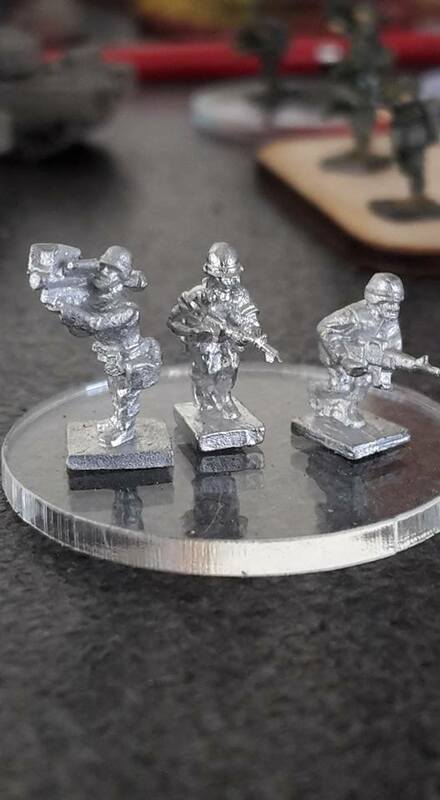 For now though, a pretty good combination for "Team Yankee" US troops in 6mm is the GHQ Vietnam range and the US Modern range... it could be used to display the 'transition' period between M16A1/A2, Fritz helmets and what-not that I presume occurred around the 1980's... just a little bit before my time in the services! Here's the shot, the Vietnam range has its troops standing tall, whereas the US Modern riflemen are all in a more 'tactical' running movement, hence the slightly smaller look. The Stinger missile comes from the US Modern Heavy Weapons set, and is a good comparison to show the 'standing height' is fine for the models. Anyway, hope you're all kicking goals out there! Til next time!